For many years I have warned that the coming European Beast power would use and develop technology that will result in the taking over of the USA and its Anglo-Saxon allies (though the Beast may let powers such as China take over areas like Australia/New Zealand). Is this possible? What does the Bible teach? What has been going on that seems to confirm or deny the possibility that Europe is developing such a capability? What kinds of technology are the Europeans developing? Before going further, it needs to be pointed out that the Bible is clear that the final Beast power will be a warring power. The Bible discusses a warring Beast from the sea in Revelation 13:1-10. This seem leader is referred to as a type of Beast in Daniel 7, a king in Daniel 8 and 11, and a king in Isaiah 10. So, we see that the King/Beast is a warring power. While modern warfare involves technology, why else would it seem from the Bible that technology may be the key to the Beast's military success? The 'sea' the Beast rises out of is the Mediterranean Sea (cf. Joshua 9:1; 23:4; Ezekiel 47:13-16); see also Europa, the Beast, and the Book of Revelation and/or watch Can You Prove that the Beast to Come is European? Notice that the military power of the Beast was something that the world will marvel, be astonished about. Why? Because no one really thought that the European Beast power had the military ability to do what it did. The King in Isaiah 10 and the Beast of the sea in Revelation 13 is referred to as the King of the North in Daniel 11. Notice that the King was able to defeat defeat the 'strongest fortresses.' That is, the King was able to defeat what was considered to be the most powerful military force in the world. Isn't it the U.S.A. that is the land with the strongest fortresses in the 21st century? The world will marvel because it did not believe that U.S.A. along with its Anglo-Saxon allies could be defeated (see also Anglo - America in Prophecy & the Lost Tribes of Israel). The Assyrians, who join with the peoples who currently are in Islamic lands, are led by the King of the North. I believe the above deal will involve the use of terrorism and not exclusively employ the latest in technology. But that, combined with troops perhaps from Mexico and something under the guise of a NATO exercise will throw the USA off and set it up for the type of sudden destruction the Bible warns of (1 Thessalonians 5:3). Yet, after the destruction of the USA and its Anglo-Saxon allies, the kings of the North and South will turn against each other. It would seem to need to be something like technology otherwise, the apparently Islamic King of the South (Daniel 11:40-43) would not so emboldened as to push against the King of the North. Europe has been working on all kinds of technology. Technology would seem to be the key to a powerful European military, as well as likely its future economic dominance. The European Commission’s 2012 policy Communication on the European Research Area (ERA) should lead to a significant improvement in Europe’s research performance to promote growth and job creation. The measures in the Communication will have to be implemented by EU Member States, the Commission and Research Organisations to ensure the completion of ERA by 2014 as called for by the European Council. Horizon 2020 is the financial instrument implementing the Innovation Union2, a Europe 20203 flagship initiative aimed at securing Europe’s global competitiveness. Running from 2014 to 2020 with an €80 billion budget, the EU’s new programme for research and innovation is part of the drive to create new growth and jobs in Europe. Europe is planning on improving its economy and position in the world via technology and research. It is hoping to have all the pieces together by 2020. And despite its flaws, for a short time, the European power will dominate the world per Revelation 13, 17, and 18. Europe is moving forward with its plans, and yes, items such as the spying scandals are part of this (see also The Snowden Leaks are Leading to the Destruction of the USA). The Bible shows that Europe will have control over buying and selling (Revelation 13) and trade (Revelation 18) and that will take technology. Technology that it is working on getting. She basically has concluded that Europe must dominate technology. There are more technological projects in Europe that have military potential than this article will list. But there are several. Such as Galileo, quantum computing, cables, super colliders, rockets, and ELI. Europe is in the process of Europe reducing its dependence on USA communication's technologies, while increasing the USA's dependence upon Europe. A major way is with its Galileo program. Galileo is Europe’s answer to the USA’s Global Positioning System (GPS). It is expected to be more accurate and to cover more area of the planet (though it would not surprise me that area coverage could be reduced for budgetary concerns) than GPS. Galileo represents a new era in the sense that it is a major EU project that improves on what the USA has and shows that the Europeans have the potential to become a modern military power (though Galileo is only one of the needed pieces). Europe developed its Galileo system to break its dependence on the USA (see EU, UK, US, Asia, & Galileo) and it was specifically funded because of its military potential (see EU Approves Galileo For Military Use). Now, instead, the USA and UK are ignoring this and have decided to rely on the European-controlled upcoming Galileo system for part of their military defense. This is dangerous, overlooks the lessons of history, and ignores the warnings in the Bible. Europe’s fledgling satellite-navigation system has achieved a crucial milestone, showing that it’s capable of pinpointing locations around the globe. The four Galileo satellites— which launched in 2011 and 2012 — performed well during the tests, achieving an average positioning accuracy of 26 feet (8 meters) in the horizontal direction and 30 feet (9 m) in the vertical 95 percent of the time, officials said. The system’s average timing accuracy was 10 billionths of a second. Europe’s Galileo satellite program continues to advance, despite some occasional delays. Europe declared years ago that Galileo was needed for military purposes and that is why it received funding at a critical stage of its development. The USA itself announced that it will depend on Galileo for part of its own military defense. When I wrote that in May of 2009, the U.S. Air Force denied that there was such a problem. Galileo was partially operational in 2013, more so in 2016, and is getting more operational as it moves forward. The time will likely be here is a relatively few years where the USA will not have the lead in this type of technology. And while some believe that the USA will overcome this, the reality is that the Europeans may decide to take advantage of their lead once they have it. He proposed the American Space Renaissance Act (HR 4945), which includes a forward-looking mandate for GNSS. The USA appears to be looking for commercial advantages and seems not to see the military risk Europe's Galileo poses to it. After 17 years and numerous setbacks and budget boosts, Europe’s Galileo satellite navigation system has gone live. At this point, 18 of the planned 30 satellites are already in orbit. The European Union’s promise to enhance localization services was became reality on Thursday, with the successful launch of four more satellites of the bloc’s prestige Galileo project. Initial services, free to users worldwide, will be available only on smartphones and navigation units already fitted with Galileo-compatible microchips. The new system is designed to deliver more precise data for private and commercial users than the current US Global Positioning System (GPS) does. “Galileo will increase geo-localization precision tenfold,” European Commission vice-president Maros Sefcovic said ahead of Thursday’s launch. Galileo, and the partial apparent USA dependence upon it, gives the Europeans a unique type of military power. This is something all should be concerned about. While one article states it will be fully operational in 2018 and another 2020, it may be that some of its military applications will take a bit longer to be in place. BERLIN (Reuters) – German Chancellor Angela Merkel said on Saturday she would talk to French President Francois Hollande about building up a European communication network to avoid emails and other data passing through the United States. “We’ve got to do more for data protection in Europe, there’s no doubt about it,” Merkel said on Saturday. Brazil and the European Union have agreed to deploy an undersea communications cable linking the Portuguese capital of Lisbon to the city of Fortaleza in Brazil. The project seeks to reduce Brazil’s reliance on the US after Washington spied on Brasilia, Reuters reports, citing Brazilian President Dilma Rousseff. The statement was made at a summit in Brussels. Rousseff said the USD 185 million cable project was central to "guarantee the neutrality" of the internet. Brazil's president, Dilma Rousseff, has seized on Germany's Chancellor Angela Merkel's call for a Europe-based internet system in order to strengthen her own case for a new submarine internet cable to connect Brazil and Europe. So, despite assurances about limits to spying on leaders personally given by then USA President Obama, Brazil and the European Union are taking a major step to reduce USA espionage. This, of course, will weaken the USA as it has been able to spy on all calls from Brazil over to Europe in the past. The Europeans are making moves that will end up hurting the USA. If Europeans were truly close friends of the USA, would the USA spy on them as much and would the Europeans take so many steps to become independent of the USA? Of course not. Yet, most are unaware of how serious this is becoming. Europe is developing its own military communications satellite system called Galileo and plans to exclude US ally, the United Kingdom, from parts of it. Europe is taking militaristic steps. The USA should not rely on Europe or Galileo. The Beast power would expect to have a lot of data centers, and the USA has inadvertently accelerated that already (see also The Snowden Leaks are Leading to the Destruction of the USA). Perhaps the most ambitious project is to build a quantum computer that can quickly process calculations that would require a time equivalent to the age of the universe for a supercomputer. The stakes are immeasurable: as Il Sole 24 Ore points out , “the promise of quantum computing and of a cybersecurity based on quantum mechanics could represent that change of paradigm to bring the disparity between us and the Sino-Californian companies a little closer”. So, the Europeans plan to spend one billion on quantum technology research and around six billion on information and communication technologies to essentially change the paradigm that China and the USA (California) are the leaders. European aerospace giant, Airbus, has been contracted to build the world's largest satellite constellation. The company will produce 900 spacecraft for OneWeb, a British Channel Islands-registered concern that aims to broaden internet access to the underserved. More than 600 satellites will initially be launched, with the rest held as spares. The deal was announced at the Paris Airshow. The world is changing. European satellites are expected to be used by the Beast power. A fusion reactor capable of producing limitless clean energy is up and running in Germany. The Wendelstein W7-X fusion energy device known as a stellarator produced its first batch of hydrogen plasma when it was started earlier this year. The device essentially works like a star in a jar, harnessing the near infinite power of the sun. Since then scientists have been monitoring the device and recording readings, according to a study in the journal Nature Communications. Once the technology is viable it could be incorporated into power plants across global cities allowing Earth to run on limitless clean energy indefinitely. The largest and most sophisticated stellarator in the world, Wendelstein 7-X (W7-X), has just started operation, with the aim to show that the earlier weaknesses of this concept have been addressed successfully, and that the intrinsic advantages of the concept persist, also at plasma parameters approaching those of a future fusion power plant. Here we show the first physics results, obtained before plasma operation: that the carefully tailored topology of nested magnetic surfaces needed for good confinement is realized, and that the measured deviations are smaller than one part in 100,000. This is a significant step forward in stellarator research, since it shows that the complicated and delicate magnetic topology can be created and verified with the required accuracy. This project could greatly assist Europe and reduce its dependency of Islamic sources for fuel. It could propel Europe's economy. It also has massive military potential. This combined with Europe's aversion to Donald Trump is something to watch out for. Germany used deuterium in WWII when it was trying to develop its own atomic weapons. The USA, with the help of German-born scientists, was able to do this first. But for WWIII, the Germans seem to be ahead (see also World War III: Steps in Progress). As far as Donald Trump goes, his push for fossil fuels, combined with his negative comments towards 'climate change' will further distance the Europeans from the USA. The Europeans are likely to believe that they are saving the planet and more responsible, especially if the stellarator or something similar ends up providing losts of energy. While many act like Europe is just lying around with no military deterrent, the reality is that even if the USA took no further steps, Europe has direct access to American nuclear weapons. Is Italy capable of delivering a thermonuclear strike? Could the Belgians and the Dutch drop hydrogen bombs on enemy targets? And what about Germany — a country where fear of atomkraft is so great that the last government opposed all civilian nuclear power? Germany's air force couldn't possibly be training to deliver bombs 13 times more powerful than the one that destroyed Hiroshima, could it? While Germany is not categorized officially as a nuclear power, it produces nuclear warheads for the French Navy. It stockpiles nuclear warheads (made in America) and it has the capabilities of delivering nuclear weapons. Moreover, The European Aeronautic Defense and Space Company – EADS , a Franco-German-Spanish joint venture, controlled by Deutsche Aerospace and the powerful Daimler Group is Europe’s second largest military producer, supplying France’s M51 nuclear missile. Business Insider previously reported on power being cut to Turkey's Incirlik Air Base during the failed July 15 coup and the situation of some 50 B61 nuclear bombs there, but a new report from the Congressional Research Service shows that Congress was also briefed on the matter. The brief may be the most official confirmation of the location of the bombs on record, and it goes into detail on why and how the bombs are stored. So, there seem to be about 200 nuclear bombs in Europe that the USA has apparently placed under European control. Presumably, this does not include France's arsenal as those are not USA nuclear bombs. The German air force is preparing to adapt some of its Tornado warplanes to carry more up-to-date US atom bombs in light of plans by Washington to modernize its nuclear arsenal in Germany, a media report said on Saturday. German newsmagazine "Spiegel" reported that US President Barack Obama had approved the last phase of development for a new atom-bomb model, B61-12, that is to go into full-scale production from 2020. Washington then intended to station some of the modernized weapons at the Büchel airbase (above photo) in Germany's western Eifel region, the report said. The reality is that if Europe chooses to turn against the USA, it has the nuclear ability to do so pretty much any time. "It's good that this is finally being discussed," says Jan Techau, director of the Holbrooke Forum at the American Academy in Berlin. "The question of Europe's future nuclear defense is the elephant in the room in the European security debate. If the United States' nuclear security guarantee disappears, then it will be important to clarify who will protect us in the future. And how do we prevent ourselves from becoming blackmailable over the nuclear issue in the future?" Wolfgang Mischnick, parliamentary floor leader of the Free Democratic Party, which shared power with Kohl's Christian Democrats at the time, publicly clarified what that meant during a session of the Bundestag on February 20, 1974: "It is still possible to develop a European nuclear power," he said. The Bible tells of a military power that will arise in Europe (Revelation 13:1-10). It may well have its own nuclear weapons. With Donald Trump leading the United States, Europe seems to be losing trust in the American nuclear umbrella. As the EU focuses on the need to have its own military, the issue of European nuclear deterrent comes to the fore. The debate has been triggered. This issue is intensively discussed in Germany. Jaroslaw Kaczynski, Poland’s former prime minister and now the head of its ruling party provided the highest-level call for a European Union nuclear program in the February interview with a German newspaper. Kaczynski has broached a taboo subject. With Donald Trump and Brexit, the Europeans are more and more looking to become their own independent military power. Various ones in Europe are advocating more nuclear weapons for Europe. Europe is in the process of developing an empire. “Look guys, why do we want to be part of an emerging empire? “That’s what the French Europe minister has called it. “They’re building an empire; one with an absence of democracy. “One that actually wants to have its own military by 2025 and is still intent on expanding. Although Nigel Farage is warning against it, we are seeing more and more call for things like a European army as well as a European empire. Some believe that Europe's "military capabilities should be equal to those of the US" (http://www.zerohedge.com/news/2017-02-13/trumps-right-nato-obsolete-us). But Europe does not have to have equal military capabilities to defeat the US. The US has attempted to develop military capabilities for many, many scenarios. To defeat the US, Europe only has to focus on that. Since the US does NOT consider that Europe is (or will be) a serious threat, this will work to Europe's military advantage--and Europe may well bomb the USA with some of the USA's nuclear weapons. It is my view that Europe will likely attack the USA and/or the UK under the guise of a NATO (or some other defense treaty) exercise and use nuclear bombers. The above descriptions are consistent with a nuclear or similar attack. Manasseh represents the USA and Ephraim its British-descended allies (see Anglo - America in Prophecy & the Lost Tribes of Israel). THIS HAS NOT YET HAPPENED IN HISTORY AND IS A PROPHECY FOR OUR TIME. According to the Bible, Europe will become a massive problem for the USA, UK, and much of the rest of the world--Europe will become a destructive military power (Revelation 13:4; Daniel 11:39). On the surface, this shows that the USA is still developing potentially important energy and military technology. But notice that this is tied in with a facility in the Czech Republic, as well as a contractor in Austria. The Europeans have a laser project called ELI that seems to partially have the intended capability to be a major space weapon (see also European technology advances, while USA disses EU to Ukraine)–and while laser nuclear fusion in the news item above is supposed to be about energy production, it may not need to be limited to that. “With ELI, we enter a new era, pioneering the use of structural funds for an international research infrastructure,” says Wolfgang Sandner, who heads a consortium set up by the three countries and Italy to manage ELI. The main goal of ELI is to create the latest laser equipment in the world. There will be accomplished and implemented research projects covering the interaction of light with matter at intensity being 10 times higher than currently achievable values. ELI will provide ultra-short laser pulses of a few femtoseconds (10-15 fs) duration and give performance up to 10 PW. ELI will bring new techniques for medical image-display and diagnostics, radiotherapy, tools for new materials developing and testing, latest in X-ray optics, etc. Europe is making technological progress that many do not realize. It may be of interest to note that one of the projects inside the EU is named “ELI”. “Eli” is Hebrew for “My God” (Strong’s # 2241), see Matthew 27:46. But I do not believe that the EU intends to appeal to the true God. The ELI project may allow the Europeans to develop a type of laser weapon beyond that which the world has ever seen. On the coattails of CERN’s success with the Large Hadron Collider (LHC), Europeans and the world at large have another grand science project to be excited about: the Extreme Light Infrastructure (ELI) project involving 40 research and academic institutions. The project’s goal is to build powerful lasers — two in Romania and the Czech Republic and a third in Hungary. These lasers will progressively serve as prototypes for a fourth more powerful laser — the Ultra-High Field Laser — whose location hasn’t been decided yet, though the UK is the likely candidate. The expected date for the first laser facility to become operational is sometime in 2017. It seems that Europe is the heir apparent of high-end experimental physics research. While I also am not convinced that it will be used to annihilate distant planets, I do believe the ELI is likely to generate potential military technology and/or weaponry. I also agree that Europe is becoming the heir of high-end experimental physics research in many areas. One of the most powerful X-ray machines ever built has officially opened in the German city of Hamburg. The facility, which has cost more than a billion euros to build, will be used to study the detailed structure of matter, atom by atom. It is called the European X-ray Free Electron Laser (XFEL). The machine is a superconducting linear accelerator that is housed in a 3.4km-long tunnel complex some 40m beneath Hamburg and the nearby town of Schenefeld. It works by accelerating bunches of electrons to almost light-speed, before then throwing them down a slalom course controlled by a system of magnets, known as undulators. As the electrons bend and turn, they emit flashes of X-rays; and as the particles interact with this radiation, they also bunch even tighter. Their compact configuration not only intensifies their light emission but gives it coherence as well. In essence, the X-rays are “in sync” and have the properties of laser light. The beam will penetrate and detail at the atomic scale whatever is put in its path. Many nations around the world use circular machines called synchrotrons that do a very similar job. So this ‘MUST HAVE’ EUROPEAN MACHINE is A BILLION times brighter than others in the world. And this project may make a lot of physics-related discoveries. This is a project that is giving Europe technologies that it expects to exploit in the future. This is another European project that is ahead of the USA. I believe that this one has military potential. The FEL weapon system will provide U.S. ships with speed-of-light fire capability for a range of missions and threats, a key element of a future shipboard layered defense. An Innovative Naval Prototype program for the FEL technology began in 2010. It will demonstrate scalability of the necessary FEL physics and engineering for an eventual megawatt-class device. The USA has military interest (actually, the link above mentions “Research Challenges and Opportunities * FEL weapons …”), yet what Europe has may be a BILLION times more powerful! The science is famously hard to grasp, but this is what’s important: Quantum tech takes advantage of quantum physics to manipulate atoms and subatomic particles in new, potentially powerful ways. For example, the speed and power of today’s computers are physically limited to the transistors that carry out their functions. That’s because transistors are basically on-off switches for the flow of electrons in computers (typically represented in values of zeros and ones, or “bits”). But quantum computing promises a way around this limitation through the quirks of quantum physics. Specifically, the bits in quantum computers can exist in more than one state at a time, can influence each other instantaneously from great distances, and can act as particles and waves simultaneously. These new bits — known as quantum bits or “qubits” — create the potential to process data much faster than traditional computers. This technology holds immense promise. It could allow us to communicate faster, more accurately and more securely than ever before — meeting not only the security challenges of tomorrow but also revolutionizing everything from code-breaking to cybersecurity to climate modeling, and opening new frontiers in medicine and materials science. So, there is a technology that theoretically could knock out US defenses and communications, and the USA is not leading. While China is also working on this, it may well be that Europe will develop the military portion of this before others. The number of colliders in the U.S.A. dwindled down to one under the Obama and Bush Administrations, and the remaining one has faced budget cuts and possible closure. Yet, in Europe, it now has the leading one in the world, CERN’s Large Hadron Collider (LHC) and in 2012, Germany announced that it is planning a possibly even more advanced one called FAIR (FAIR stands for the Facility for Antiproton and Ion Research). CERN's Large Hadron Collider project has been the world's largest physics project for some time. Historically, large physics projects have produced military weaponry. Many do not realize that even Leonardo Di Vinci supported himself financially, to a significant degree, by developing military weaponry. This is something that many scientists do. Technology may be key to a powerful European military. One aspect could include particle collider research. The number of colliders in the U.S.A. has dwindled down to one under the Obama and Bush Administrations, and the remaining one is facing budget cuts and possible closure (Matson J. Nuclear Decelerator: Last U.S. Particle Collider is on Chopping Block. Scientific American, August 24, 2012). Yet, in Europe, it now has the leading one in the world, CERN's Large Hadron Collider (LHC) and in 2012, Germany announced that it is planning a possibly even more advanced one called FAIR (FAIR stands for the Facility for Antiproton and Ion Research) (JCW. Go-ahead for €1.6 billion particle accelerator. The Local, June 13, 2012). The FAIR project is in process of construction. I believe that Germany’s FAIR, along with the LHC and other technology, will help the Europeans produce military weaponry to fulfill certain end time prophecies. Since Revelation 13:4 is discussing what seems to be a unique type of warfare, this warfare likely includes certain high-tech weapons (such as electromagnetic pulse, neutron bombs, unique delivery systems, etc.) that will be effective for a while. The FAIR and the LHC projects are also likely to spin-off economic benefits that may help propel Europe to be (for a short while) the economic leader of the world (cf. Revelation 18). Ultimately, the Europeans will be overcome by what appears to be a Russian-led, mainly Asian, confederation, cf. Jeremiah 50:41-43 & Daniel 11:44, possibly by exploiting some technological flaw, like creating a software virus, etc., while also amassing troops, etc. European collider and space technology is moving forward. An article of related interest is titled The Large Hadron Collider has Military Potential. Also, here is a link to a video: Could the Large Hadron Collider lead to destruction? I would also add that France and Germany have electromagnetic pulse (EMP) military technology and could use that in a devastating way to weaken the USA. Furthermore, as the USA develops more EMP technology itself, it is likely to share a lot of that with the Europeans. The combination of European technology, combined with technology gleaned from the USA and UK, will one day prove deadly to the USA, UK, and their Anglo-Saxon descended allies. I would add that for those that doubt colliders can result in major military weaponry, many scientists used to believe that antimatter could not exist for more than a small fraction of a second, yet the CERN Large Hadron Collider has able to produce and store antimatter for many minutes. Antimatter is matter with its electrical charge reversed. Anti-electrons, called "positrons," are like an electron but with a positive charge. Antiprotons are like protons with a negative charge. Positron, antiprotons and other antiparticles can be routinely created at particle accelerator labs, such as CERN in Europe, and can even be trapped and stored for days or weeks at a time. And... they made antihydrogen for the first time. It didn’t last long, but they did it. So NASA acknowledges that CERN with its LHC has produced and stored antimatter, that antimatter collection is expensive, and that antimatter is dangerous. Now this something that Europe has decided to continue to research and produce. The FAIR collider will also likely conduct antimatter experiments. Dirac interpreted the equation to mean that for every particle there exists a corresponding antiparticle, exactly matching the particle but with opposite charge. For the electron there should be an "antielectron", for example, identical in every way but with a positive electric charge. The insight opened the possibility of entire galaxies and universes made of antimatter. Antimatter does have military potential. Antimatter and other unusual items can cause massive damage and destruction. And as mentioned earlier, ELI seems to be a project to take CERN’s research another step or so forward. The United States invested $38.7 billion in civil- and defense-related space projects, $8.8 billion down from its 2009 peak but still more than half of the global total. Russia, by contrast, has ramped up its spending by an average of more than 30 percent over the last five years and is now the only country after the United States to spend more than $10 billion a year. Japan, China, France, Germany, Italy and India all invested more than $1 billion a year, it said. China, currently in eighth place globally, is expected to ramp up spending considerably over the next decade. “The current global context for public space programs shows many positive signs brought by new leading space nations and an ever-growing number of countries who have initiated plans to build up their space-based capabilities,” said Steve Bochinger, chief operating officer at Euroconsult. The USA is beginning to lose its current lead in space. PARIS — In what European Space Agency Director-General Jean-Jacques Dordain called a “Valentine’s Day present,” four European rocket-hardware builders on Feb. 14 submitted a united proposal for how to build the next-generation Ariane 6 rocket using an organizational setup that turns ESA’s traditional practice on its head. The four companies — Airbus Defence and Space, Safran, OHB AG’s MT Aerospace and Italy’s Avio — have been given “total carte blanche” to create a contractor team with only one goal in mind: Produce a vehicle that can be built and launched for 70 million euros ($95 million), Dordain said. The above has been happening. Furthermore, the USA continues to cut its ground troops (see, for example, US Army plans to shrink to pre-WWII levels) and no longer even has tanks in Europe (There are no longer USA tanks in Germany: Do Americans understand this is a serious risk?) in order to stop the Europeans from turning their technologies against the USA. While Donald Trump wants to increase military spending, he does not consider that Europe is a serious threat and is not taking steps to deal against a militarized Europe (actually, he has encouraged the Europeans to arm). What About Artificial Intelligence and Cell Phomes? What about computers, AI, and cell phones? AI capabilities powered by 5G networks could help military operators fly swarms of unmanned aircraft, Sheppard said. “That high bandwidth, low latency network allows for … algorithmic alignment during operations,” she said. It could also aid autonomous truck convoys where one manned vehicle is followed by a number of unmanned platforms, she noted. “That careful coordination between the leader and the followers require that network connectivity,” she said. Upgrading systems to a 5G connection would allow for increased and faster data transfer, making the process more efficient. Five-G will be a boon for fields associated with the electromagnetic spectrum, such as electronic warfare, signals intelligence and communication intelligence, she said. To tie things together, the Telecom industry is rolling out 5G, in addition to 4G, as an integral component of the Lost of Identity Agenda. By its structure, it tells you that you will assimilate and resistance is futile. 5G, or Fifth Generation, is less about communication speed and more about weather control and mind control. After all, once your mind is not your own, you can accept anything. See my 2017 article, Are we losing identity to the hive? Well, technology will be something the Antichrist supporters will use. While cell phones themselves will not be the “mark of the beast,” the reality is that modern technology is certainly making spying on large populations easier. And even though I personally am not a cell phone person, I do not believe that owning them is something that the Bible prohibits. Bible prophecy shows that a militaristic European dictator will arise and his supporters will apparently use something like AI. 5G and other technologies may well be utilized. The ability to control buying and selling, forced worship, etc. would be vastly aided by modern technology. The type of control that was written about in Revelation 13 was not possible over 1900 years ago when Revelation was written–but in the 21st century it is. While cell phones are not the mark of the Beast, they, and related technologies, are making it easier for the Beast to gain control once he rises up. Europe has realized that technology is what it plans to use to grow. 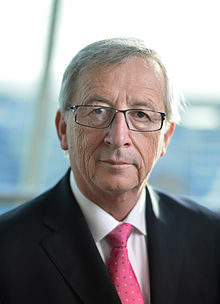 Notice that Jean-Claude Juncker WANTS THE USA TO AGREE TO STOP COLLECTING MASSIVE DATA ON THE EUROPEANS AND TO ACCEPT EUROPEAN DATA STANDARDS and wants a stronger European military. He and others have plans for technology. Revelations of U.S. spying in Europe have soured transatlantic relations, prompting a White House apology and, as leak followed leak over the past two years, have fostered feelings of moral superiority among Europeans. With concerns growing over Islamist violence even before the attacks in Paris in January, EU spending on security research, at 1.7 billion euros ($1.9 billion) in the bloc's 7-year budget from 2014, is 20 percent up on the previous period. EU officials estimate that represents a hefty 40 percent of all such spending by the bloc's 28 member states, many of which lack capacity to develop such technology themselves. Among top priorities are finding ways to focus mass surveillance of the Internet, email, mobile phones and social networks on suspects. "Member states do conduct their own research," said an EU official familiar with such projects who spoke privately as he was not authorized to speak. "But a lot of them like to go through us - it helps keep some of this stuff at arm's length." EU-funded security projects are no strangers to criticism. One, known as INDECT, which ran for five years until 2014, developed ways to identify potential criminals using software to collate and analyze disparate information collected for example from CCTV, drones, GPS location services on phones. Critics called it a real-life "Big Brother". The goal of the CAPER project is to create a common platform for the prevention of organised crime through sharing, exploitation and analysis of Open and private information sources. As the quotes from the INDECT and CAPER websites show, Europe is not totally quiet about what it is doing. Basically, the continental Europeans have more trust that their rights are considered by European espionage than they do by USA and/or UK espionage. Bible prophecy suggests that that the trust that they have is misplaced (cf. Revelation 13:16-18). On December 10, 2015, former German Defense Minister Karl-Theodor zu Guttenberg stated that the Obama Administration was in a "remarkable lame duck mood" on matters of security and technology. In that same presentation, he decried that the "tech world and political world could not be more detached from each other." He also said he wanted to stop terrorists from utilizing encryption technologies that governments could not break. He made it clear he wanted to change that. He also mentioned that the political environment was "too toxic" to resolve these and other issues in 2016. He said that there was growing anti-Americanism in Germany because of the Snowden leaks that had still not been resolved. And he blamed the USA for causing a lot of this (for some details, watch him in the video Karl-Theodor zu Guttenberg and Europe’s Future). He also stated that he wanted a strong "European voice to confront the USA strongly." And his focus was on technology. Because of the Edward Snowden leaks, Wikileaks, other revelations, Donald Trump, and Brexit, many in Europe are outraged by actions by the USA, and also the UK. The continental Europeans considered that the USA and UK were their friends and allies, and they remain upset. The continental Europeans will not forget this. The USA as, and will, engage in additional appeasement related to this. Commissioner Elżbieta Bieńkowska detailed the proposal in a press conference in Brussels. “Europe is a space power and intends to remain a space power,” she said. What does the EU want to do in space? Galileo is Europe’s version of the American’s Global Positioning System (GPS). Egnos is an ‘overlay’ that ensures existing sat-nav signals are precise enough to be used to land planes. Copernicus is an Earth observation project. Seven satellites are already in orbit; 25 are in development. Known as Sentinels, the spacecraft gather data to inform and enforce EU policies. GovSatCom is a new initiative. It would pool member states’ secure satellite telecommunications for use by, for example, police forces, border agencies and diplomats. Space Situational Awareness is about ensuring the orbital environment stays safe through collision avoidance and debris mitigation. Better tracking of space objects is a high priority. The EC will ensure all EU-programme satellites are launched on European rockets to support the bloc’s independent launcher industry. It would like all EU states to make the same commitment. Brussels wants to tighten and, in its words, streamline the management of activities like Galileo and Copernicus. Europe is taking steps. They also are into surveillance. Those in the USA, Canada (whose espionage was also highlighted by Edward Snowden), and UK may hope that the continental Europeans will simply overlook all of their espionage, yet the time will come when the Europeans will take successful military actions against the USA, Canada, and their Anglo-Saxon allies (cf. Daniel 11:39) and the world will marvel at the success of the European actions (Revelation 13:4). BRUSSELS plans to pump millions of pounds of European taxpayers' money into a defence research project that could help the EU beat the US and China to key military developments. As Brussels pushes ahead on with its plans for closer integration on defence, a proposal by the European Commission could see £78million (€90m) put into defence research by 2019. Although Jorge Domecq claims this was “unthinkable as recently as three years ago,” I have been warning since last decade that the Europeans were going to develop military technology. And that is happening. Europe has decided it needs to be able to rely on its military for its peoples’ ‘security’ (as far as the EU State of the Union goes, watch the video Chaotic ‘State of the European Union’). Hence, this appears to be additional biblical evidence that the end will not come in 2012 as many have publicly indicated. However, if the deal is made soon, the end may come shortly after the Mayan 2012 date. In 2013, the Europeans are planning on having their own global positioning system (GPS), called Galileo, available for military applications [European Parliament Approves Military Use of Galileo Satellite. DPA news agency. Deutsche Welle - July 10, 2008. http://www.dw-world.de/dw/article/0,2144,3474226,00.html viewed 05/14/09]. This will allow the Europeans to track the world and attack others without relying on the U.S.A.’s GPS. This will be the first time in the 21st century that Europeans will be able to have that type of independent military capability. Furthermore, according to a 2009 report from the U.S. government, the U.S. Air Force may have to start relying on the European Galileo system (at least to a degree) beginning in 2013, as the U.S. GPS capabilities are expected to deteriorate by then [Lytle JM. US says GPS satellite coverage may fail soon. Maintenance delays mean EU’s Galileo may step in. TechRadar UK - May 14, 2009. http://www.techradar.com/news/portable-devices/satnav/us-says-gps-satellite-coverage-may-fail-soon-599431 viewed 05/17/09] (other problems are also appearing in the newer U.S. satellites [Pasztor A. GPS Satellite Glitches Fuel Concern on Next Generation. Wall Street Journal, June 17, 2009 http://online.wsj.com/article/SB124520702464422059.html viewed 06/17/09]). Because the Europeans will be able to control Galileo, they will also likely be capable of derailing certain sophisticated U.S. military applications. This will give the Europeans a unique defensive (as well as offensive) capability that no others on the planet will have. But there is more. The Europeans now also have the world’s leading-edge physics project called the Large Hadron Collider (the world's largest and highest-energy particle accelerator) [Atkins W. Last magnet lowered into Large Hadron Collider. 02 May 2009. iTWire. http://www.itwire.com/content/view/24778/1066/1/1/ viewed 05/15/09]. It was built by the European Organization for Nuclear Research (also referred to as CERN), and is apt to provide the Europeans with unique military capabilities in several years. No other nation or group of nations will have complete access to what will develop from the Large Hadron Collider. The Strategic Defense Review was presented last week to the President of the Republic at a Defense Council. It is intended to set the strategic framework for the elaboration of the next Military Planning Law (LPM) 2019-2025, which should bring our defense effort to 2% of GDP by 2025. The President of the Republic had entrusted to the Minister of Armies, Florence Parly, on June 29, the responsibility of conducting a Strategic Review of defense and national security. This review examines the interests of France, its ambition for defense and deduces the skills required primarily for our armies, particularly in terms of equipment. From this 111 – page document we retain the reaffirmation of the industrial and technological ambition of our country. France enjoys a status of great technological power thanks to a solid industrial and technological defense base, which includes a dozen major groups, more than 4000 SMEs and relies on 200 000 jobs in France. Its vitality guarantees the armies in the long term access to equipment at the best level. ” The maintenance of a high industrial and technological ambition is therefore an issue of sovereignty and a pillar of our strategic autonomy ,” says the report. Preparing for the future is a key to this technological performance: devoting high funding to research and upstream studies will ensure the capacity of the French defense ecosystem to maintain its position on the international scene and to produce the equipment for which forces will need. At the same time, the report highlights the importance of pursuing a comprehensive policy of support for innovation. La Revue stratégique de défense a été présentée la semaine dernière au Président de la République lors d’un Conseil de défense. Elle est destinée à fixer le cadre stratégique de l’élaboration de la prochaine Loi de programmation militaire (LPM) 2019-2025, qui doit porter notre effort de défense à 2% du PIB à l’horizon 2025. Le président de la République avait confié à la ministre des Armées, Florence Parly, le 29 juin dernier, la responsabilité de conduire une Revue stratégique de défense et de sécurité nationale. Cette revue examine les intérêts de la France, son ambition pour sa défense et en déduit les aptitudes prioritairement requises pour nos armées, notamment en matière d’équipements. Nous retenons de ce document de 111 pages la réaffirmation de l’ambition industrielle et technologique de notre pays. La France jouit d’un statut de grande puissance technologique grâce à une base industrielle et technologique de défense solide, qui regroupe une dizaine de grands groupes, plus de 4000 PME et s’appuie sur 200 000 emplois en France. Sa vitalité garantit aux armées dans la durée l’accès à des équipements au meilleur niveau. « L’entretien d’une ambition industrielle et technologique élevée est donc un enjeu de souveraineté et un pilier de notre autonomie stratégique », souligne le rapport. Notice the technology is considered to be a key aspect of France’s current and future military. Regular readers are aware that since last decade, I have warned that technology would be key to the coming military success of the European King of the North Beast power. BERLIN/PARIS (Own report) – German government advisors are praising the French government’s new military policy document (“Revue stratégique”) and are calling for accelerating the expansion of German-French military and arms cooperation. With this document, Paris is opening itself up “to cooperation in Europe, to a degree previously unknown,” according to the German Council on Foreign Relations (DGAP), thus offering the possibility for rapid progress in the formation of European armed forces. France, however, has to “show that it can let loose, i.e. cooperate without having to dominate.” The DGAP is also calling on the French arms industry to open up. In this field, ambitious cooperation projects are only making slow progress, such as the KNDS – a merger of the German tank producer Krauss-Maffei Wegmann (KMW) und Nexter Defense Systems. KNDS is supposed to develop a replacement for the Leopard 2 and Leclerc battle tanks but internal rivalries are slowing the project. Observers are placing their hopes on the development of a German-French jet fighter, which could enable Europe’s arms industry to become “independent of US companies” and achieve “European autonomy,” according to the DGAP. Last Friday, the French defense ministry published its new “Revue stratégique”, a document outlining the basis for France’s future military policy, particularly concerning its upcoming military planning law (Loi de programmation militaire 2019-2025). On the one hand, the document declares that the – national – “safeguard of a complete and balanced armed forces model is indispensable” to guarantee “France’s national independence, strategic autonomy and freedom of action.” On the other hand, however, it attaches great importance to a “stronger Europe” that can effectively defy “common challenges.” According to the document, “France seeks to strengthen the European defense,” and this also demands “a strategic culture shared by the Europeans.” This would mean that “at the beginning of the coming decade, the Europeans” must have a common defense doctrine and must be able to “jointly intervene credible manner.” This demands launching a “European intervention initiative” (“Initiative européenne d’intervention”), according to Paris’ Ministère des Armées. Notice that the Germans are surprised at how much the French are now willing to cooperate. Emmanuel Macron is a factor here. Also notice that the intention is to have a European force independent of the USA. Europe is developing technology. Events such as the Brexti and the election of Donald Trump are affecting Europe. The Bible is clear that a warring power will arise in Europe. Based upon what is happening in the world today, combined with various scriptures, it looks like technology will be how the final Beast power will be successful. Now, the Bible shows that this will not last and ultimately Europe will be disturbed by (Daniel 11:44) and destroyed by a Eurasian power (Joel 2:2-9; Revelation 16:12-16) led by, to a significant degree, Russia (see Russia: Its Origins and Prophesied Future and The Eurasian Union, the Kings of the East, and Bible Prophecy). I believe that the Russians, Chinese, and/or their allies will learn how to neutralize the effectiveness of European technology, something that the King of the South power thought it could do, but something that the 'kings of the east' (Revelation 16:12; Joel 2:2-9) will be able to do. That later destruction suggests, to me at least, that Europe will rely too much on technology. But the time will be when the European Beast power will rise up. We are seeing a rise in European technology, and technology with military applications. While I do not believe Europe will exclusively use technology, succesful technology would seem to why the world will marvel at the coming Beast power. The European Beast is rising up. We are getting closer to the time of the end. European espionage and technology are be part of that. There is also a related YouTube video titled Military Technology and the Beast of Revelation. Does God Have a 6,000 Year Plan? What Year Does the 6,000 Years End? Was a 6000 year time allowed for humans to rule followed by a literal thousand year reign of Christ on Earth taught by the early Christians? Does God have 7,000 year plan? What year may the six thousand years of human rule end? When will Jesus return? 2027 or 20xx? There is also a video titled 6000 Years: When will God's Kingdom Come? Here is a link to the article in Spanish: ¿Tiene Dios un plan de 6,000 años? When Will the Great Tribulation Begin? 2019, 2020, or 2021? Can the Great Tribulation begin today? What happens before the Great Tribulation in the "beginning of sorrows"? 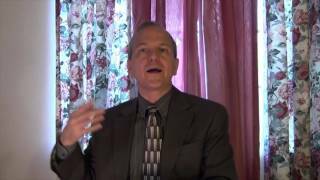 What happens in the Great Tribulation and the Day of the Lord? Is this the time of the Gentiles? When is the earliest that the Great Tribulation can begin? What is the Day of the Lord? Who are the 144,000? Here is a version of the article in the Spanish language: ¿Puede comenzar la Gran Tribulación en 2018 o 2019? ¿Es el Tiempo de los Gentiles? You can also see the English language sermon videos: The Great Tribulation from the Mount of Olives and Can the Great Tribulation begin before 2020? A shorter and newer video is: Might the Great Tribulation start in 2019? Armageddon Who is involved and when will this gathering happen? Here is also a video from Dr. Thiel, from Tel Megiddo in Israel: Armageddon. Other videos include: Armageddon Will it come on Trump's watch?, Iraq, Armageddon, & Prophecy, Freemasonry, Armageddon, and Rome, Is China paving roads to Armageddon?, and Jordan, Petra, and Armageddon.